We are almost halfway through Epiphany's revelations. It has been a rich study on the "Blessings of the Beatitudes" thus far. If you haven't kept up with the Sunday sermons, be sure to check our podcast page. Even being in the goodness of celebrating the Light that has come, it is important to look ahead to Lent. For some of us, the study on "Emotionally Healthy Spirituality" with it accompanying books are enough to feel fed and full. For others of us, we like to do something unique to the Season of Lent. 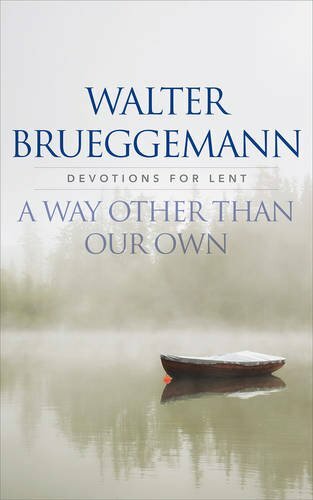 I would like to recommend Walter Brueggemann's A Way Other Than Our Own. Brueggemann has become a familiar and sometimes disruptive voice for us at Abbey Way. The book's daily devotions include scripture with accompanying commentary and prayer. Here is a link to Amazon if you would like to know more.